Trains elicit a spirit of magic, enchanting within us our innate love of exploration and freedom. Bill Harris witnesses the love of trains every day. 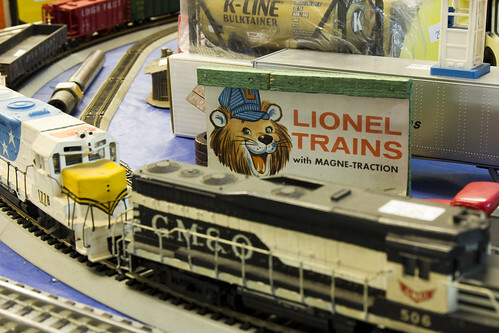 As owner of Classic Trains in Paducah, he deals in locomotive nostalgia of the minor scale. Bill grew up in Carlisle County, a once bustling center of railroad activity in West Kentucky. "My dad worked for the railroad," says Bill, "forty-six years for Illinois Central; and I always thought I would as well. I wanted to, but dad saw changes coming, and he told me I should go on to college. So I did, getting two degrees. All these years later, however, and I am working in trains!" As a youngster, Bill was known as the wheeler and dealer of Carlisle. He bought and sold coins, stamps, and baseball cards. He also jumped in the business of model trains. After a long career as a nationally known coin dealer, he decided to hop aboard the model train business full time. "I had been doing the trains on the side all along," says Bill, "and the coin business was starting to get dangerous. It wasn't uncommon to get followed home or shot at over gold coins. So in 1986, I opened a train shop in Dallas. No one tries to kill you over a model train!" Bill's train shop flourished in Dallas, and, in 2012, he relocated back home to West Kentucky to be closer to family. "It is a blessed business," he says. "People are happy. This is a stressless hobby. I like to tell people I sell therapy on wheels." Bill's typical customer fits a well-described profile. "Here's my customer: forty to fifty something man, married, one or two kids, middle class. Usually they are melancholic, phlegmatic, engineer types who like attention to detail and quality. And many times, they had models trains when they were kids." One look around the shop reveals that Bill's words are true. 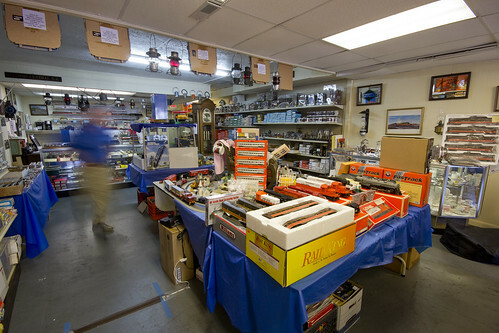 Classic Trains maintains a steady flow of customers, most of whom fit the description. "Welcome to Grand Central Station," Bill calls out as another walks in. "I do see some of the younger generation getting into it" adds Bill, "but they are coming in with their grandfathers who fit the typical customer description. "These are quality trains, not one-month wonders. Engines can range from $300 to $2600. I have trains to fit a wide variety of pocketbooks, but they are all going to be good quality." The trains themselves show great attention to detail and are built with materials such as brass. They are all modeled after actual, full-size trains. Engines, cars, and cabooses are crafted with intense attention to detail, each recreating the majesty of the original. "I had a customer come in recently who used to ride a train regularly between Memphis and New Orleans," says Bill. "Now he can own a model of the very train he spent so much time with. Many find models of engines their fathers or grandfathers worked on or built. The railroad touched many lives, and now they can regain that connection." Bill's shelves are also stocked full of scenic accompaniment. From greenery to tiny cars and people, enthusiasts have at their disposal the tools needed to create towns, cities, and countryside landscapes for their trains. Model buildings include a courthouse square series, ice cream shops, an old-fashioned Woolworth's, and many others. Bill also maintains a large library of railroad books. "Make no mistake, I am THE market in books," he laughs. Model builders often contact Bill in search of information, photos, and blueprints on specific trains as their companies endeavor to recreate the grandeur of historical engines and cars in model form. "My pastor once asked me what I did," says Bill. "I told him I work in happiness and memories. That's what all this comes down to." Bill knows that something inside of us craves what trains represent. It is inside of him as well. They symbolize the American spirit, and his customers have all the pieces at their disposal to create worlds that take them to another place in time; enchanted landscapes plucked from classic Americana. In models, they are able bring the magic home and relive the dreams of the railroad.